TRON: DS casts the player in the story as an up-and-coming TRON entity. 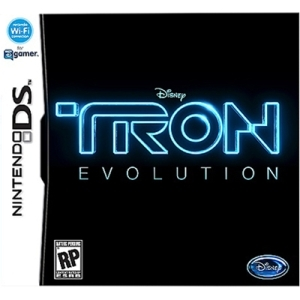 TRON: Evolution DS features an adventure mode where players battle in arenas while uncovering a conspiracy to rig the Grid Games. Features a Grid Games Championship where players compete in arena matches or in races. Grid games feature local multiplayer with iconic TRON vehicles, such as light cycles and light tanks in competitive and cooperative modes. Modes include capture the flag and last man standing.